Christine Ohuruogu (GBR) won gold in the 400m in the IAAF World T&F Championships in Moscow beating 2011 Champion Amantle Monsho in the last meter. The Lloyd Cowan coached athlete set a new British Record with 49.41 secs and took victory by just 4/1000ths of a second! 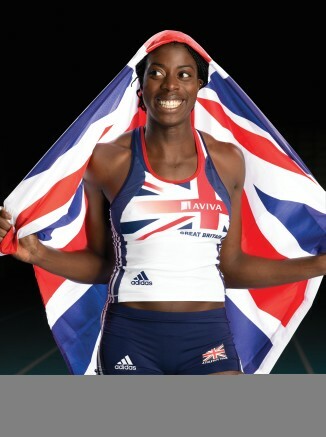 Ohuruogu was understandably jubilant after saying “I can’t believe that has just happened. It all seems like a dream!” The victory makes Christine one of Britains most decorated female athletes and the first to ever win two World track titles. In the morning session of Day 3 of the Championships, Rhys Williams (GBR) and Perri Shakes-Drayton (GBR) both secured automatic progression to the semi-finals of the 400m hurdles. In the evening session Schillonie Calvert (JAM) finished 4th in her 100m semi-final but did not advance to the final.